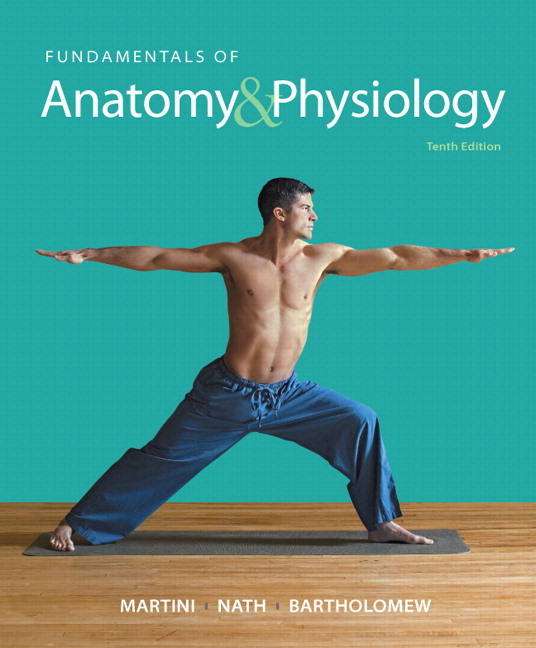 Fundamentals of Anatomy & Physiology helps you succeed in the challenging A&P course with an easy-to-understand narrative, precise visuals, and steadfast accuracy. Every chapter of the Tenth Edition includes one- and two-page Spotlight Figures that seamlessly integrate text and visuals to guide you through complex topics and processes. These highly visual presentations incorporate, for select topics, the “visual approach” that the same author team created in their Visual Anatomy & Physiology book. New Clinical Cases open every chapter and get you thinking about the chapter content in the context of a personal compelling patient story. The Tenth Edition integrates book content with MasteringA&P®, through expanded Coaching Activities, which personalize learning and coach you toward understanding and mastery of tough A&P topics. Personalized Learning with MasteringA&P: Engage with A&P through new Spotlight Figure Coaching Activities, and new Book-specific Clinical Case Activities, and a wide range of other question and activity types—all that are automatically graded. Text-art Integration: The popular one- and two-page Spotlight Figures and other figure types seamlessly integrate text and visuals to guide you through complex topics and processes. You study the Spotlight Figures in the book, and then your instructor can assign them in MasteringA&P. Story-based Clinical Content: Motivate yourself for your future careers with the new Clinical Cases. Time-saving Navigation and Study Tools: Better navigate difficult A&P topics through both the book and MasteringA&P.